Click the button below to add the Alopecia Renewal Hair & Scalp Therapy #Alopecia Hair Loss Treatment# to your wish list. Alopecia is a condition thought to be a disorder in which the body attacks its own hair follicles that results in a bald spot and stops hair growth. The damage to the follicles is usually not permanent, and your hair may grow back. What better way to rejuvenate your follicles than to deliver pure nutritive essentials that add value to your scalp and hair. Blended with anti-bacterial ingredients such as Atlas Cedarwood, Thyme, Peppermint, Rosemary and Clary Sage to penetrate. 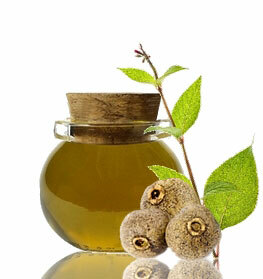 Boosted with Foraha, which has been used for centuries in native cultures to help with skin and hair conditions. Refresh your follicles with wholesome ingredients that are easily and quickly absorbed, precisely targeting spots fast. This is your first step in the battle to restore the beautiful full hair that you were born with. I bought this product six weeks ago, and have been using it about every other day before I go to bed. A little goes a long way. I just put about a quarter size into the palm of my hand and then use one finger to dab and apply to the spot that I want. I didn't notice anything much at first, but I kept using it regularly. This morning I was in the bathroom putting on my makeup and noticed a new crop of tiny baby hairs had sprouted on the alopecia spot! I am so excited. This REALLY DOES WORK! Vitamin rich formula with essential nutrients to nourish and protect hair follicles. Works well together with our vinegar nutritive rinse. Use sparingly, as a little goes a long way. Just a few drops or as needed. I've been using this just a couple of times a week for the past month and honestly this works! I am truly amazed with this product. I am only 45 and I was really upset about my alopecia. I see baby hairs popping up all over my bald spot and I couldn't be happier. This is the only product I've found that actually works. I have been using this for 3 months and my hair is full and rich and looks like it did when I was 25. I am 58 years old and the one this I hate about growing older hair problems like thinning. Then when I got an alopecia bald spot I decided to take action. I tried minoxidil but that caused irritation and breakouts. So, I searched for something more on the natural side and I found this and am I happy I did. I DO NOT have the spot anymore. My hair is back to full again. I recommend this to anyone who wants a beautiful, full head of healthy hair. Helps moisturize and soothe dry scalps and hair. 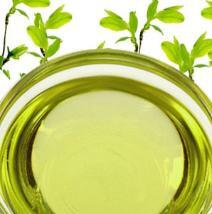 Jojoba Oil is a conditioner that can also remove residue from the hair. Flaxseed Oil is enriched with Vitamin E, fiber and omega-3 fatty acids to encourage a healthy environment for hair growth. Muira Puama Extract has been used as an herbal health medicine to prevent both men and women from losing hair. Bergamot Essential Oil calms and soothes the scalp, is antimicrobial and antiseptic, moisturizes and conditions hair, and repairs dry, damaged hair all while adding shine. Sesame Oil has been used since ancient times and is said to treat premature graying, promote hair growth, protect hair from harmful sunlight, treat head lice, soothe the scalp and promote shine and moisture while preventing hair fall due to stress. Chia Seed Oil helps your hair grow healthier and gives it a glowing shine. Open your hair roots with your fingers, leaving the scalp clear to apply the treatment. A very small amount will go a long way. • If you are experiencing hair fall, we suggest trying our Hair Therapy Shampoo and Conditioner. • If you experience a lot of buildup or cleanse your scalp with conditioner, we suggest using a clarifying shampoo once a month to remove buildup and refresh your scalp. We suggest our Shampoo to Remove Build-Up. • Results vary from person to person depending on nutrition, current health, and physical activity. • Treat your hair as if it were lace. By treating hair gently, you will prevent unnecessary breakage and hair fall. Simmondsia Chinensis (Jojoba Seed Oil), Linum Usitatissimum (Flaxseed) Oil, Cucurbita Maxima (Pumpkin Seed) Oil, Calophyllum Inophyllum (Foraha) Oil, Olea Europaea (Olive) Oil, Cocos Nucifera (Coconut) Oil, Ptychopetalum Olacoides (Muira Puama) Extract, Camellia Sinensis (Green Tea) Extract, Citrus Bergamia (Bergamot) Oil, Corylus Avellana (Hazelnut) Oil, Vitis Vinifera (Grapeseed) Oil, Sesamum Indicum (Sesame Seed) Oil, Salvia Hispanica (Chia Seed) Oil, Prunus Armeniaca (Apricot Kernel) Oil, Persea Americana (Avocado) Oil, Citrus Sinensis (Orange) Peel Oil, Citrus Paradisi (Grapefruit) Oil, Cedrus Atlantica (Atlas Cedarwood) Oil, Cananga Odorata (Ylang Ylang)Oil, Pogostemon Cablin (Patchouli) Oil, Salvia Sclarea (Clary Sage) Oil, Rosmarinus Officinalis (Rosemary) Oil, Lavandula Angustifolia (Lavender) Oil, Mentha Piperita (Peppermint) Oil, Thymus Vulgaris (Thyme) Extract, Arnica Montana (Arnica Flower) Extract, (Sea Kelp) Extract, Arctium Lappa (Burdock Root) Extract, Ricinus Communis (Castor Seed) Oil, Vitamin E (Tocopherol). This product works very well. I already see results after 19 days. Those who are looking for phenomenal hair growth have to pair topical alopecia treatments such as this with internal treatments such as any hair, skin, and nails multi vitamins or prenatal vitamins. The third necessary ingredient is patience. Apply twice a day every day for six months for complete results. Very good value for the money. I can't say enough good things about this. This past Spring I developed an extremely dry scalp. It was insanely itchy and I couldn't get help from any kind of treatment. I lost a tremendous amount of hair, mainly around the sides of my head. I started using this for alopecia and noticed a huge difference. The terrible itch has stopped too. I've been using this about three times a week for a few months now with vitamins and the spots that I was losing hair now seems to be growing faster, and thicker. So far so good! I really like this product. I recenty had a bout with Alopecia Areata and this product helps to soothe the affected area and to calm down the inflammation. It does tend to make the hair look oily, but I use the Hair Loss Shampoo to wash it out. Both products work great. Very happy. I had noticed my hair falling out by the bunches. I had severe alopecia about 3 years ago and my hair grew back within time. However, it is thinner than ever. I was worried the alopecia would come back again leaving me with tiny bald patches. I was willing to try anything that would ease my hair fall/thinning. I have been using this spray for about a week now. I spray it on at night and then wash my hair in the morning. I have to say I AM liking the results. Since starting it a week ago I have 75% less hair shedding. The smell is a little heavy but it smells fresh and clean (the smell reminds me of it working itself) I have to say maybe a little therapeutic. I WOULD TRY THIS PRODUCT IF YOU ARE LOOKING FOR HELP! I since then have ordered the shampoo and still waiting for it to arrive. I hope this helps, losing your hair is hard and no one understands unless they have had it happen to them. I'm excited to see how this product works. I have just received this product and I have high hopes for it; however, I will have to give this more time to see results as I have had my thinning spots for 40 years! I have TONS of baby hairs growing back after using this after about 3 weeks! I had hair loss from unintentional rapid weight loss and stress. I'm so relieved to see new hair. Good product, does do what it says. It does take awhile in my experience but am very satisfied with my purchase. Only negative is that I had to purchase it online. They do not sell in stores which made me wait longer to try it. I personally was not a fan of the smell. I am use to more of the artificial fragrances used in many of the top lines that you find at your local stores. After using it I realized it was a good investment regardless of the cost. Depending if the progress continues I will deff buy this again. I have been using this for at least 1 full month and I really think its working! I feel my hair becoming thicker and brushes are not having as much hair buildup in the. Looking forward to the coming months. It might just be me but I personally love the natural plant extract smells. Right now it may be to soon to tell if it works for hair loss because I have been only using it for a couple of months. I have noticed a decrease in my hair loss but not sure if that’s because of my new diet regimen. So far my scalp doesn’t feel as dry and itchy anymore which is a relief. Depending on your hair loss problems their Hair Therapy Shampoo and Conditioner is a good pairing option. I was looking for a hair loss solution. Having this product has been a life saver. I never do not dread combing my hair or even going to the salon. That added part of stress in my life is gone. My hair looks fuller and healthier then ever before. I love the combination of wonderful natural essential oils and extracts. Looking forward to trying other products from their company. For the last 3 months I have been using this product. First my hair loss has decreased so much and my hair is finally starting to look fuller again. The cost is a little much but for the results I would buy this again. For the last few years I began noticing my hair falling out more and more. My scalp started to irritate me and this made me stress which lead to more of both. I spoke with a few friends that both recommend Just Nutritive. I was uncomfortable at first but their customer service rep really was informative and recommend me the Renewal Hair & Scalp Therapy. I have been using it daily for the last 6 months and am so happy with everything. My scalp feels refreshed and the irritation is gone. My hair is looking fuller once again. Be patient people this product works!